Assign daily themes. 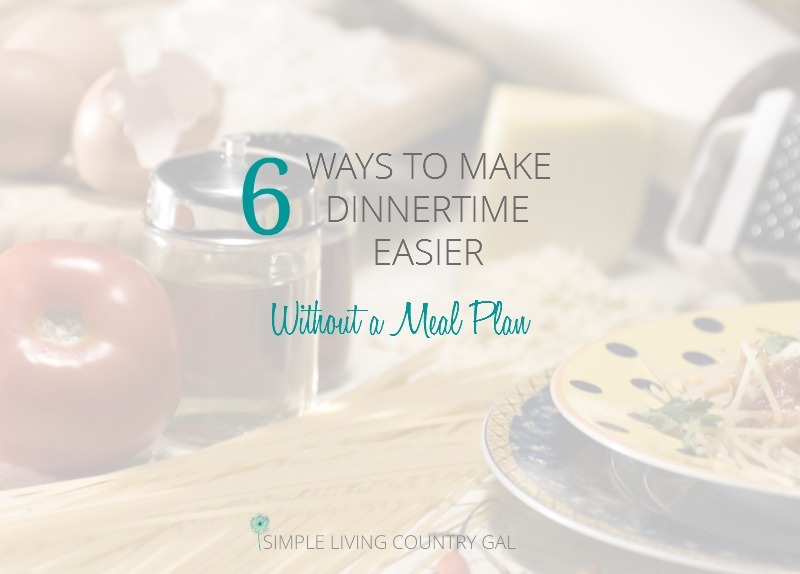 By assigning a different meal theme to each day you will really narrow down your choice and make things a bit easier come dinner time. Even though I do meal plans I still have daily themes for those days when what I have planned just doesn’t sound good. I cannot tell you how much easier it is to choose a meal knowing it is chicken Tuesday. Just this one tip will make dinner a lot less stressful. Homemade fast food meals. Most families love fast food meals. So fast food Friday’s are a big hit in our home. Pizza, hotdogs, mac-n-cheese, chicken strips. I could go on and on. Have a few of these goodies ready to go and you have yourself a super quick and fun meal in just minutes. [spacer height=”20px”]Worried about processed foods? Make as much as you can from scratch and freeze. Just a little more work and you have the same yummy foods that are delicious and good for you too!